To request a room reservation, please complete the form below. Rent/Use of any Parish facility is subject to the limitations and guidelines set by the Parish. After your request is received and approved, your event will be added to the calendar. 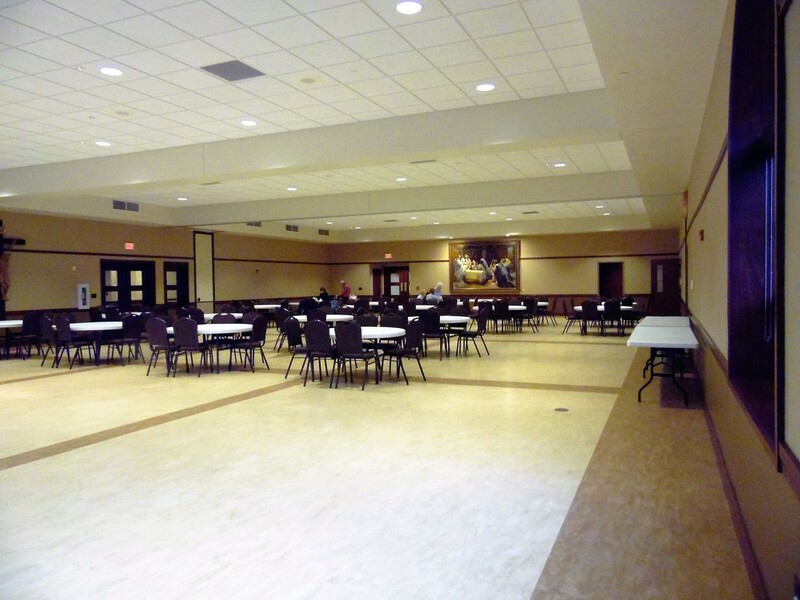 Attention please: Room must be reset to the "Set-Up Pattern" for the Parish Hall after use. See Diagrams that are posted near the north kitchen door by the coffee pot. All tables must be wiped down with diluted bleach stored above the sinks in the kitchen. Floors must be swept. The name listed on the reservation will be called to re-set the room, if needed. Thank you for your cooperation.